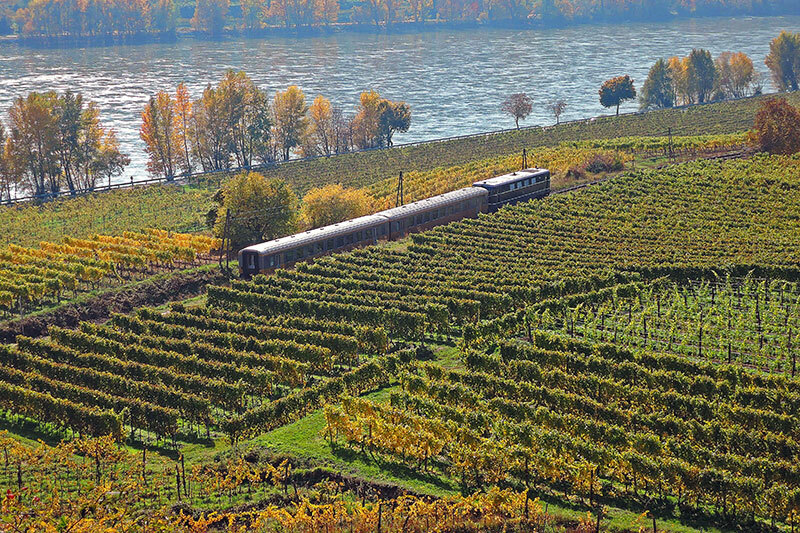 The wine region Wachau situated along the Danube was not made an UNESCO Cultural Heritage site without reason. The combination of nature, history and culture has made this one of Austria’s most popular tourist destinations – for foreign visitors and Austrians alike. The Wachau takes up a 33 kilometre (20 mile) stretch of the Danube between Melk and Krems in Upper Austria. The unique blend of picturesque villages, river landscape, history, culture and regional delicatessen are main attractions. 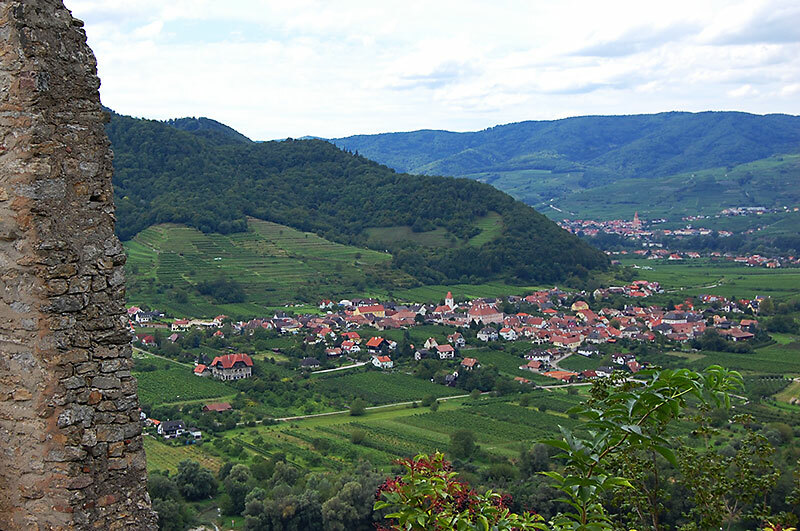 The mild climate, geology and good soil makes Wachau into one of the prime wine districts of Austria. 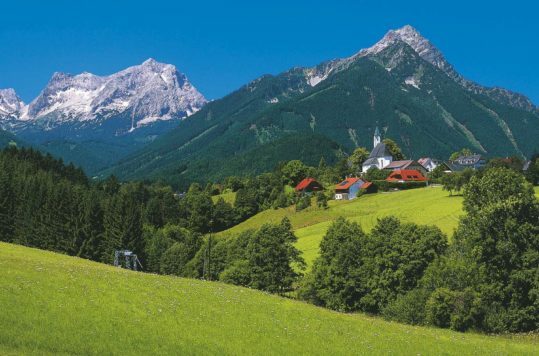 The tourist season in this part of Austria, lasts a bit longer than most places, and stretches from end of March until end of October. 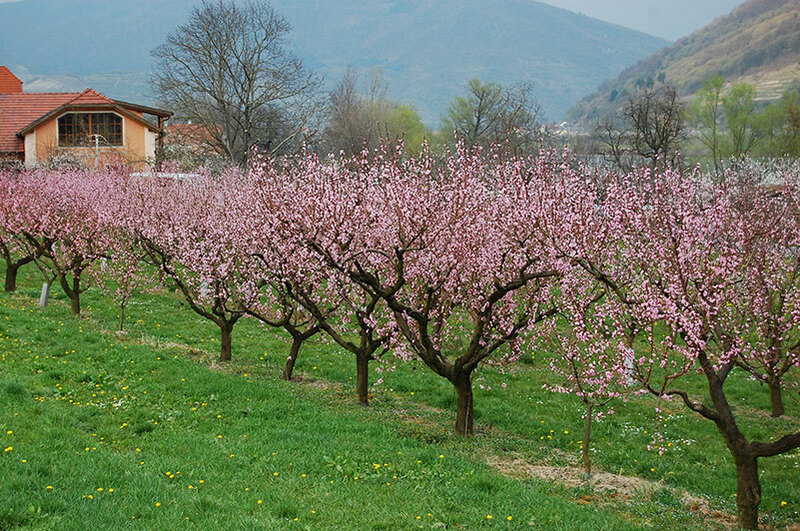 Nonetheless, for less stress visit Wachau at the beginning or the end of the season. 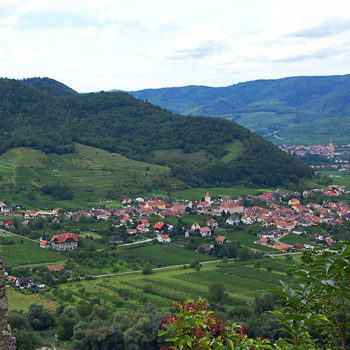 Wine production in Wachau has long traditions. Because of the mineral rich soils and the winds that swipe through the river valley, makes the wine from Wachau especially rich. The Romans quickly discovered that grapes thrived in the region and built the first stone terraces already 2000 years ago. 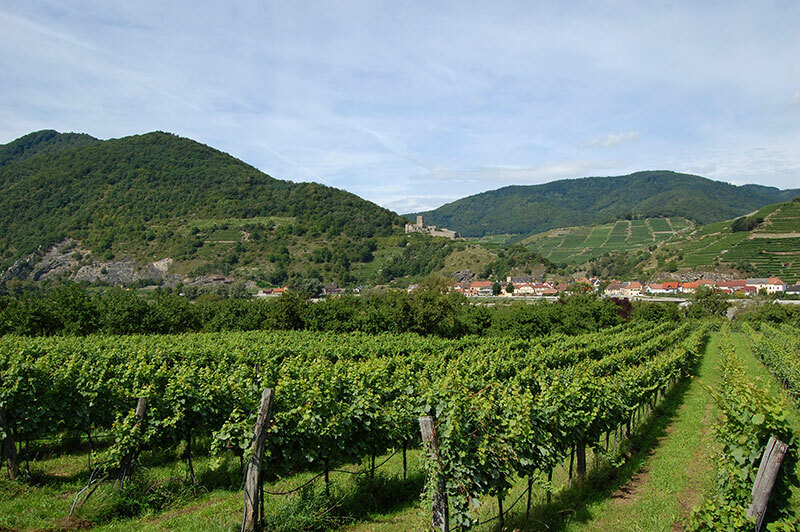 Leuthold I (1260-1312) from the noble family Kuenring owned large areas of land in the region, and was one of the first to receive the certificate of origin for wines from “Vinea Wachau Nobilis Districtus”. 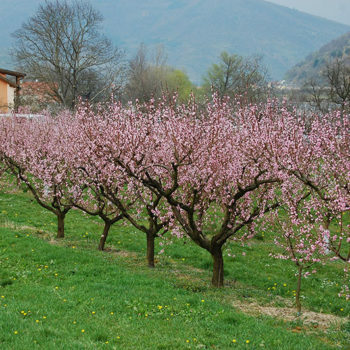 Not only is the wine production itself very important to region, but also wine tourism. The local wineries offer connoisseurs as well as novices possibilities for wine tasting. Moreover, to learn about the entire process from grapes to bottle. Left: Apricots in many shapes and forms. 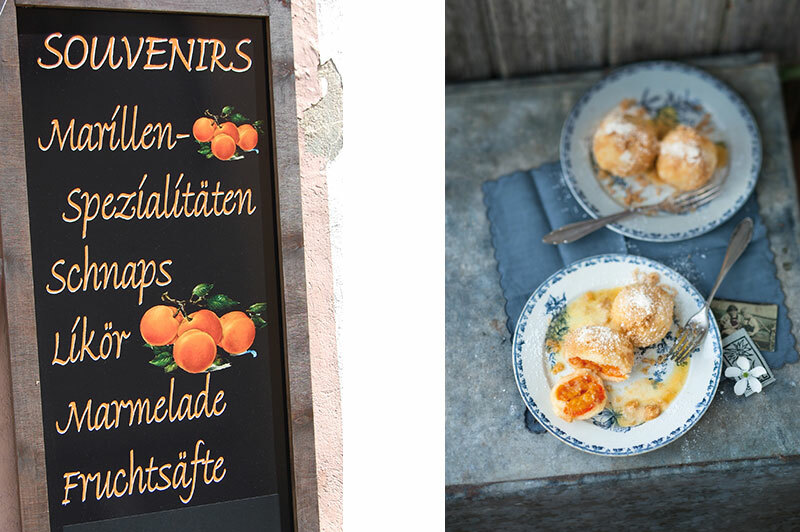 Photo: Ana Lucia Marcos © Right: The local speciality Marillenknödel (Apricot dumpling) has to be tasted. 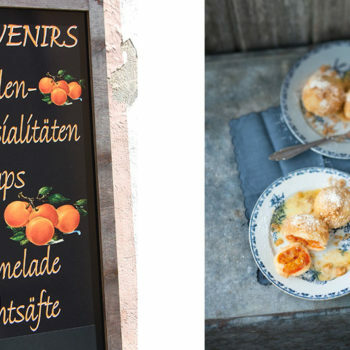 © Österreich Werbung, Photo: Wolfgang Schardt. 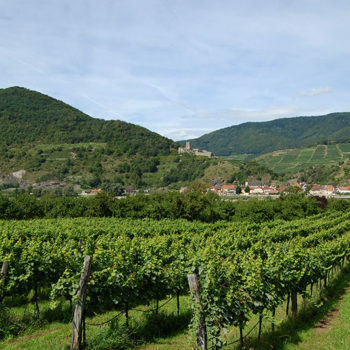 Despite that there are other wine producing regions in Lower Austria that produce far larger quantities, the Wachau enjoys a long-time fame among connoisseur as THE wine and culinary region in Austria. Tourism in the region is not a new phenomenon. Already at the end of the 18th century, the region was a popular tourist destination. Especially for city dwellers from nearby Vienna (80 kms away). 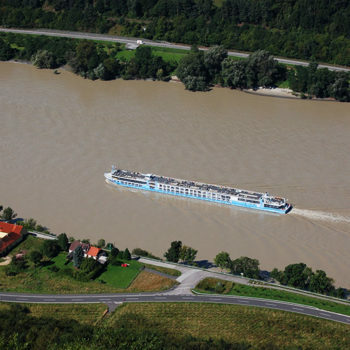 In those days, the most popular way of travel was by steamboat on the Danube or by train. Both these options are still available today. Since Vienna is only an hours or so away by car, the roads get very crowded in August and on weekends with special events. 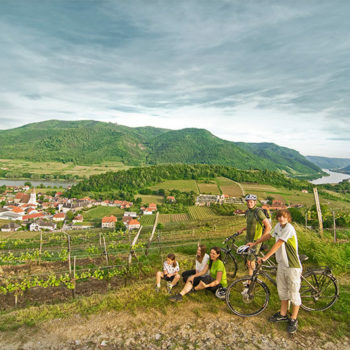 However, the one of the most desirable ways to see Wachau is from a bicycle. 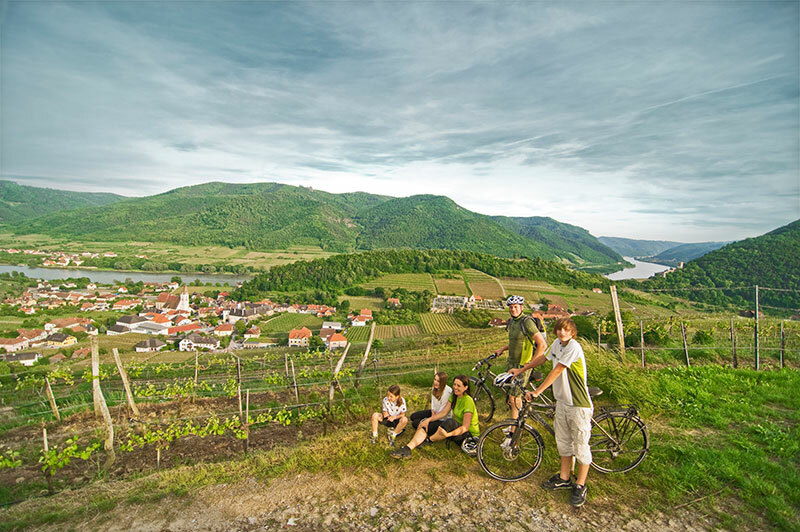 You find bicycle-paths on both sides of the Danube River and can leisurely do the 35 km trip in a day. 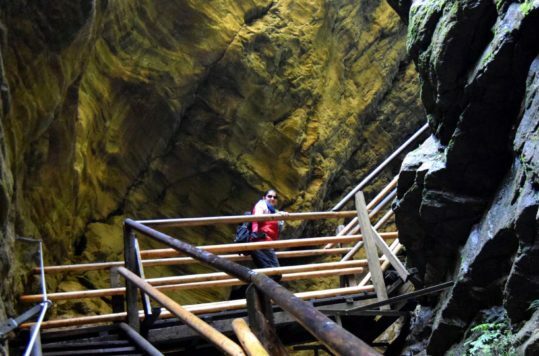 Nonetheless, we recommend doing it in at least three days, which will allow you to appreciate not only the fantastic scenery, but also to enjoy some of the local history and culture. The south side tends to see slightly less traffic than the north side of the river and may be more pleasant on a bicycle. 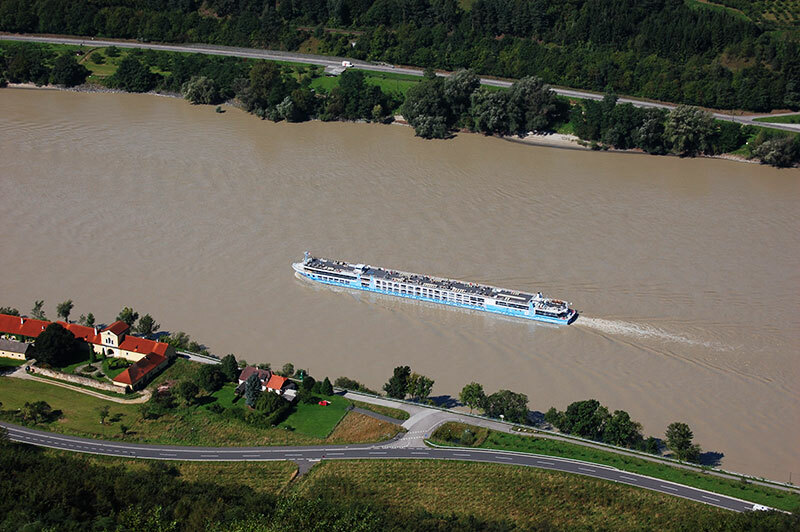 Notwithstanding, you can cross the river at several points, by bridge or ferry in order to experience all of Wachau. 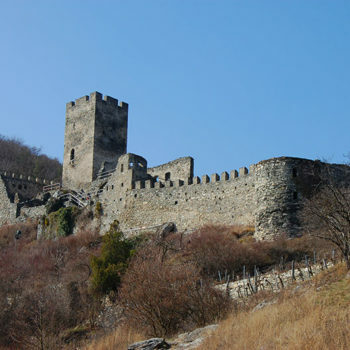 On the south side, you can also find the magnificent mediaeval Aggstein Castle. 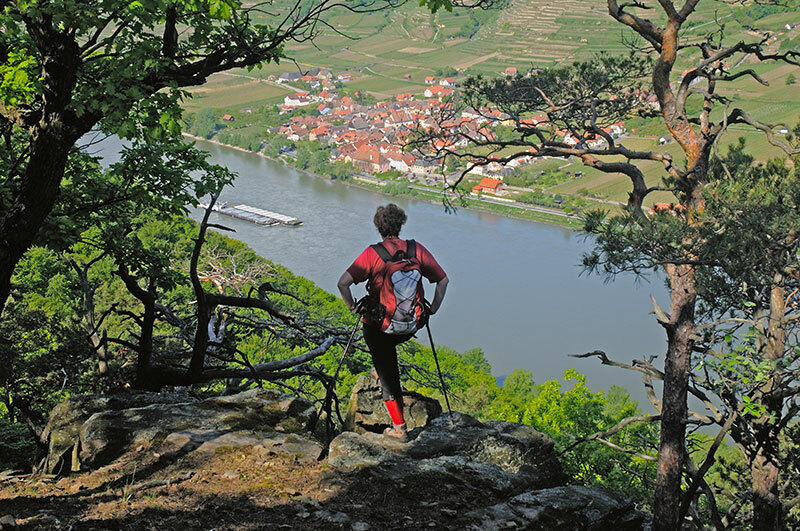 Get up there (300 m above the Danube) and enjoy the stunning views of the Wachau and surrounding areas. 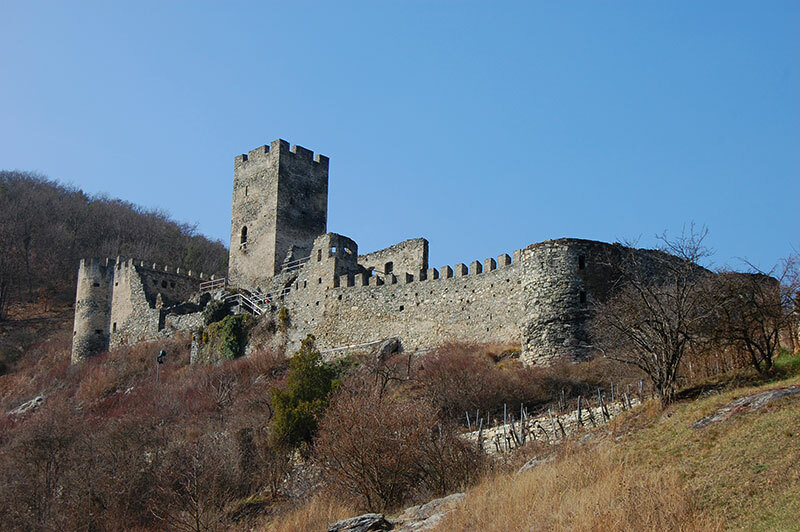 These are the top sights, you should try to fit into your itinerary when in Wachau. If you cannot do them all, it’s just a good excuse to return another time. 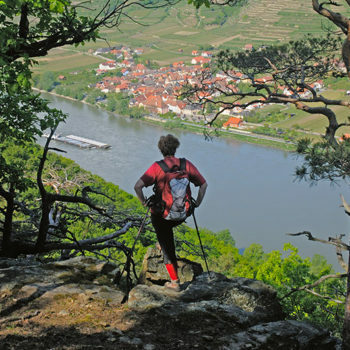 Just like most other regions in Austria, the Wachau offers an extensive network of hiking paths, both along the river and in the surrounding hills. There are also several viewing platforms on the hiking paths in the Danube valley providing stunning views. 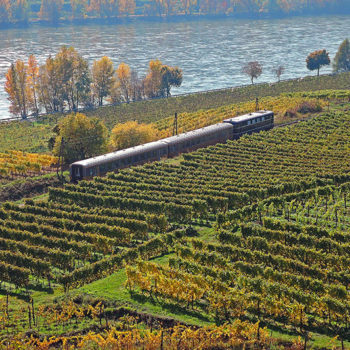 No matter what your main interests are, in the Wachau you will find your thing.